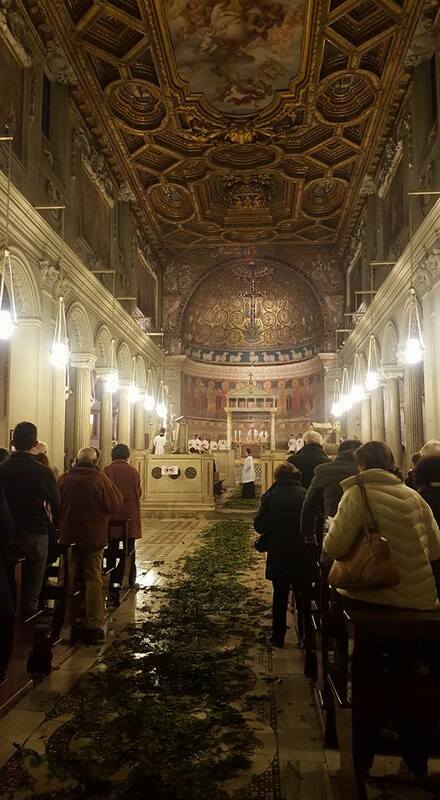 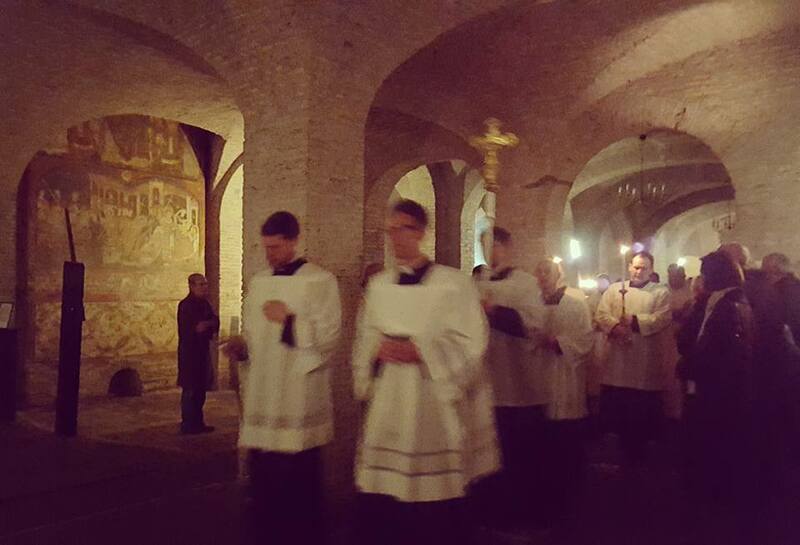 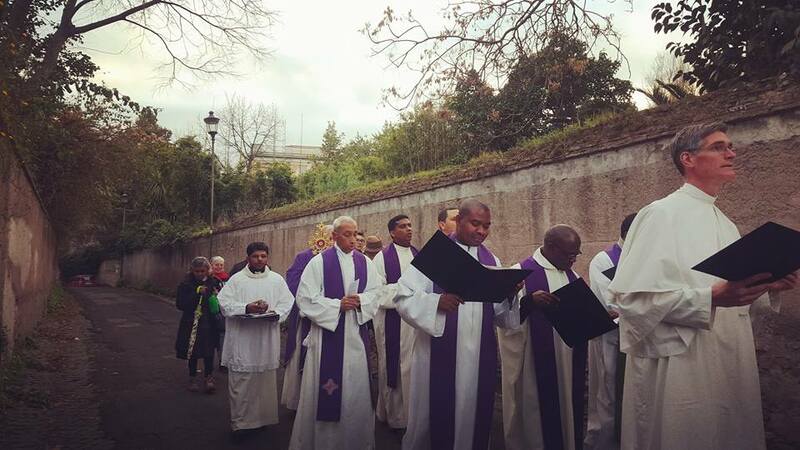 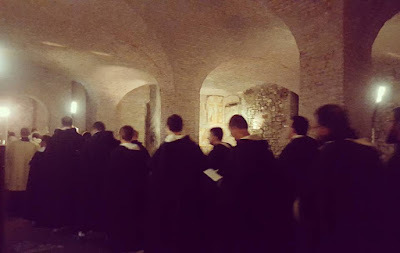 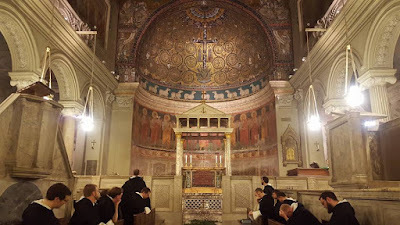 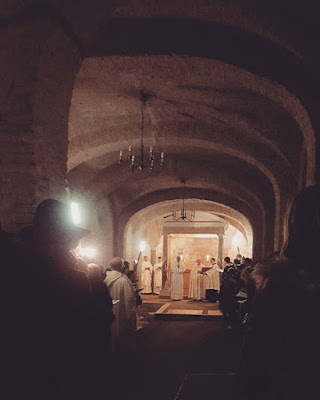 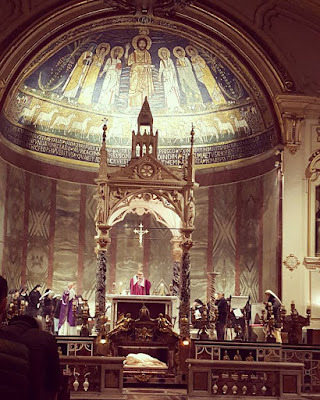 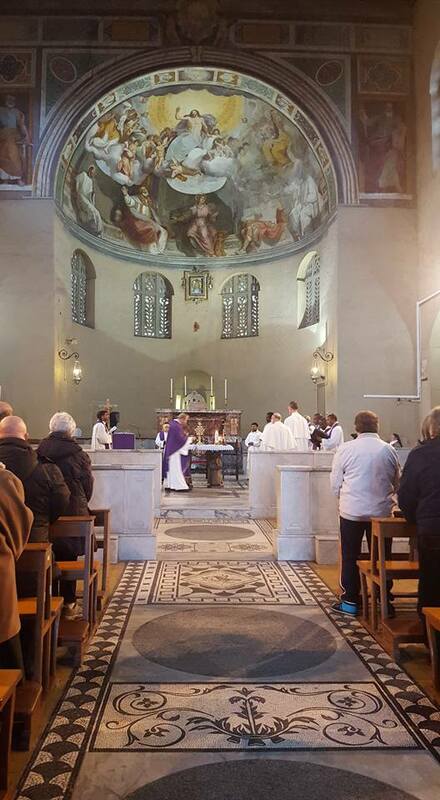 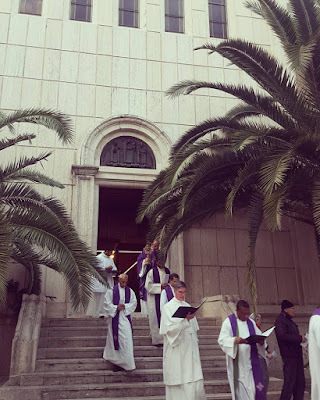 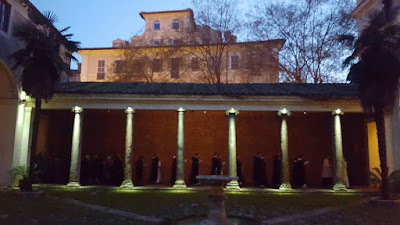 Traditionally, before the station Mass on this day there is a procession from the nearby Norbertine College, and the Mass itself is sung by the clergy and seminarians of the college. 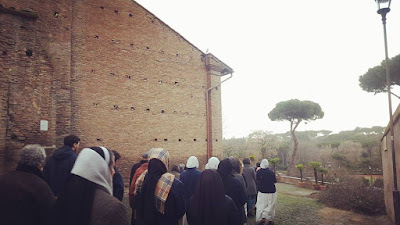 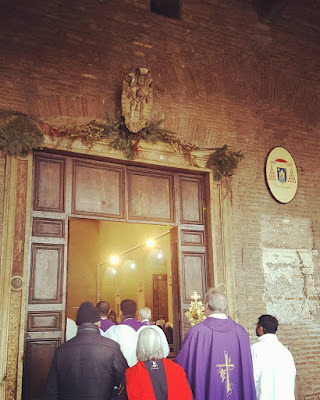 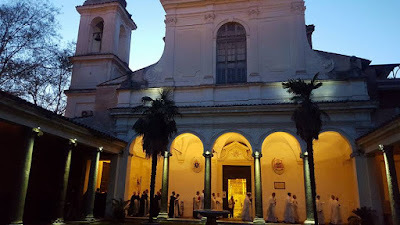 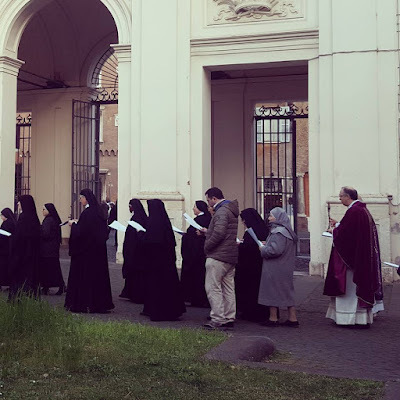 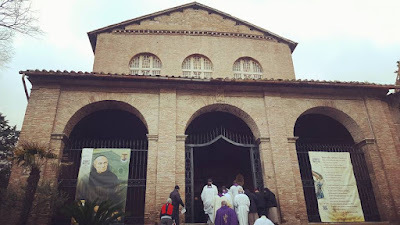 The first photograph shows members of the clergy exiting the main door of the college, followed by the procession though the rather narrow streets on the way to Santa Balbina. 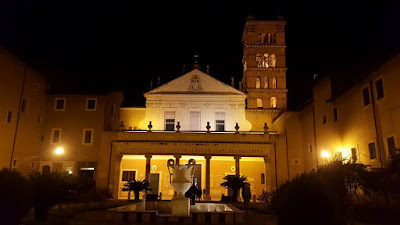 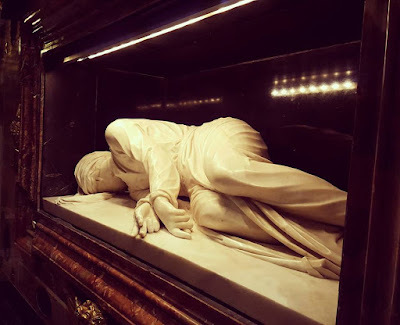 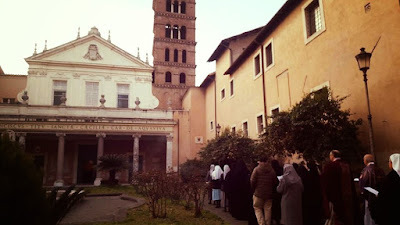 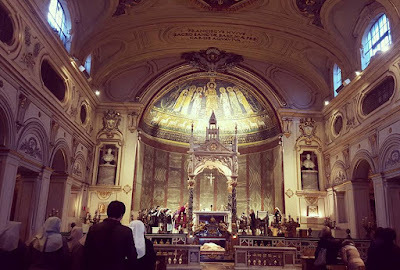 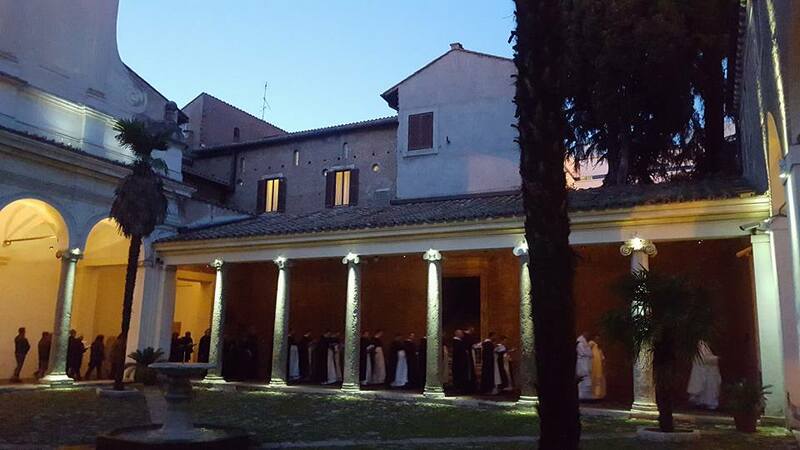 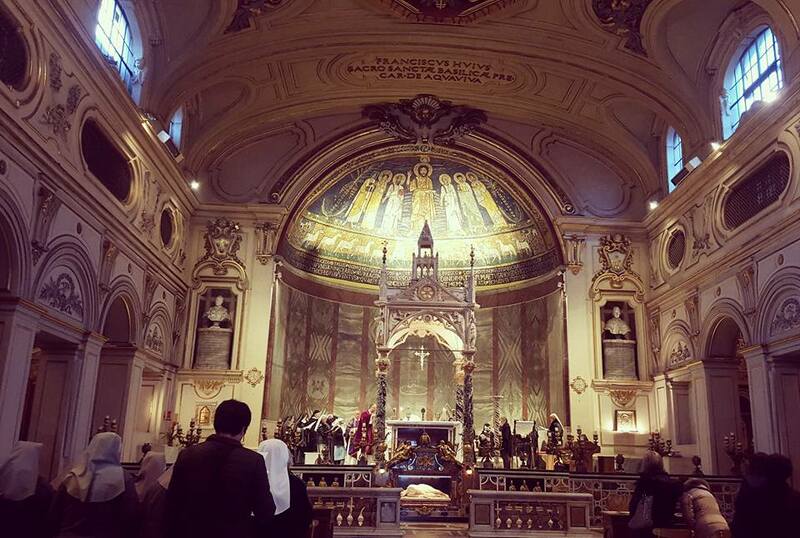 The Basilica of St Cecilia is home to a community of cloistered Benedictine nuns.